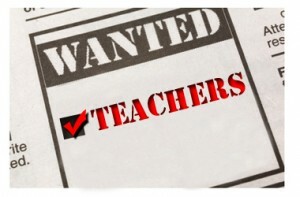 Emergency teacher certification is a process that involves the quick certification of prospective teachers in areas where there are serious teacher shortages. If you have always dreamed of working in education and you are deciding to switch career paths after earning a degree in another field, you may want to learn more about emergency certifications and where these credentials are still available. By doing this, you can get on the fast-track to a career in education. Read on to learn about what this type of certificate entails and who may be eligible for one. What Separates a Traditional Certificate from an Emergency One? An emergency teacher certificate is not the same as a traditional certificate that you earn when you study education and then test for licensure. While most areas require teaching candidates to meet the licensing criteria before they can teach in a public setting, there are times where there is a huge demand for qualified candidates. To eliminate the shortages, some counties might recruit from other counties. If this is not an option, the county has the option to grant emergency certificates to those who can temporarily teach public students in specific subject areas or as a home room teacher. The only time that you can get an emergency certification is when they are being granted by the state. The certificate will generally only be valid for up to one year, but if the shortage is still a problem the following year it can be extended. There are several different pathways that you can take to get certified as a teacher. Because it is a temporary remedy, being an emergency certificate holder may not be ideal. However, in states where they need the professional help, you can get hands-on experience in a fulfilling field while you work towards your actual certificate. To get your certificate, you need to possess no less than a Bachelor’s degree and you must pass your state’s certification exam. There are states that have requirements that you must show that you are working towards a teaching degree before you are considered. You should check the pathway that is best for you based on your state by reviewing your options with the National Education Association. Here you can find contact information for the National Center for Alternative Certification and see which states have different alternative options. Where you should teach depends on if you want to relocate and if you are willing to live in areas where the shortages are the biggest problem. States over the nation are struggling to find qualified candidates, but the biggest shortages are reported in Kansas, Georgia, Missouri and Massachusetts. Review the alternative certification options in states you would like to work and live. Teaching is a career that will always be around. If you like to lead and you love to be a mentor, it is time to consider becoming a teacher at a public setting. You can easily use your degree to get your foot in the door in areas where emergency certificates are being granted. Find out where the emergency teacher certification is being awarded currently, and map out the path that you want to take.